We started C&T Capital, LLC, with the idea of facilitating the residential mortgage brokerage community in funding commercial mortgage transactions. We then realized that we could also benefit accountants, attorneys, CPAs, property managers, real estate agents, and real estate developers by helping them fund their commercial mortgage clients. We share fees contractually with the referring partner and allow them to be as active in the originating, processing, underwriting, and closing as they choose to be. We have been very successful using this business model and have developed a significant network of referral partners nationwide. A phone call is all it takes. 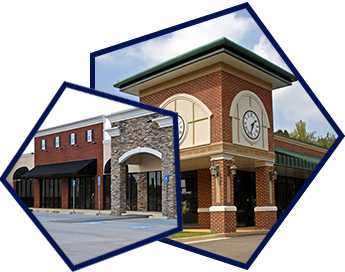 Help provide superior financing for commercial property owners and generate revenue by sharing commissions earned. You decide the amount of time you commit to the project. Commercial transactions take experienced originators, processors, underwriters, attorneys, and closing agents all working together to make the deal happen, but nothing occurs unless that first introduction is made. You can arrange the initial introduction, or present a checklist to the borrower and collect the preliminary submission package. It's your choice. We will keep you informed of the progress of your client's loan and work with you to make sure it is a good experience for all concerned.